Find below the list of top engineering universities in Pakistan 2018 by HEC ranking to get enrolled in one of the best engineering institute available in Pakistan for ultimate career opportunities. Every year thousands of candidates get enroll in engineering university to carry on their studies and become a capable engineer. But some of them do not having idea concerning which university is best for engineering in Pakistan for civil engineering, chemical engineering, mechanical engineering and petroleum engineering that maintains its quality. The students across country can get all about education at this website like admissions and also leading engineering institutions. It’s the basic element that you must be known about which university stands at top position according to Higher Education Commission so that you may take admission and get quality of education. All of us know that engineering is the most prestigious profession in Pakistan and having no chance to an engineer remain unemployed. 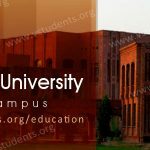 We are publishing an authentic and comprehensive article about best engineering universities in Pakistan as categorized with top five engineering universities 2018 so that students could opt anyone to take admission. 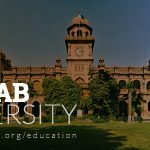 Below you will get the short overview about the top most universities for engineering in pakistan by ranking and academic level. In other works you will have an idea that which university is best for engineering education, maintaining its quality and after completion the degree you will be able to get a high standard job in Pakistan or anywhere in the world and become a qualified engineer. 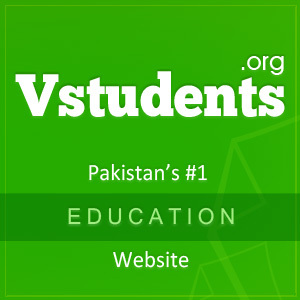 Vstudents.org is delighted to publish ranking of top universities in Pakistan after gaining the utmost admiration for its admission portion. Now we are going to classify all about top ranked universities as you will get the knowledge and information regarding ranking of top engineering universities in Pakistan 2018 as per HEC declaration. Pakistan Institute of Engineering and Applied Sciences: Pakistan Institute of Engineering and Applied Sciences commonly acknowledged as PIEAS which is primary institute stands at No. first position by HEC ranking of top engineering universities in Pakistan. It handles the nuclear power for training and experimentation function. 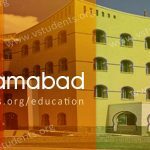 PIEAS Islamabad had commenced educational actions having Quaid-e-Azam University and after that it became Center for Nuclear Studies. It offers degree programs from bachelor up-to PHD with various fields as chemical engineering, communication, management, computer & IT, electrical, mechanical engineering, mathematics, medical science and metallurgy engineering. Don’t forget to get out the last date for Admission in PIEAS University and other details. National University of Science & Technology: NUST Islamabad ranks at 2nd most renowned and top engineering institute in Pakistan performing since 1991. It has gained an enormous significance and important milestones for higher educational institute. This school of engineering generates specialized researchers of great caliber and able to develop native technologies to meet the on-going demands. National University of Science and Technology Islamabad is maintaining the traditional attitude for excellence in research and teaching and creating innovative means to deliver programs. Develop as a wide-range research institute that focuses modernization, expertise, machinery and entrepreneurship. 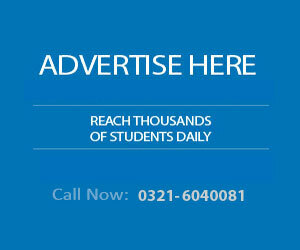 NUST is devoted to international educational structure and research requirements of the country. Responsible to produce cultural enlightened, competent as academically and research oriented graduates who are trained to lead and care for folklore and traditions. The fastest growing engineering school is enjoying to have various campuses placed in metropolitan cities in Pakistan as Islamabad, Rawalpindi and Karachi. Here is the NUST University Admission details and due dates for form submission. Ghulam Ishaq Khan Institute of Engineering Science & Technology: The institute commonly famous as GIKI with slogan “O My Lord! Advance Me in Knowledge” becomes the third most prominent engineering university in Pakistan 2018 accordingly HEC ranking. 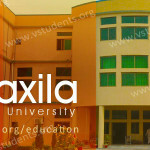 It provides innovation and much advance in studies as the best engineering colleges and universities in the world are. GIKI acts as a valuable operator of change and a role model for other universities to emulate. Ghulam Ishaq Khan Institute Topi hopes to produce graduates who would recognize with their competence, humanistic attitude, managerial abilities and a good access to problem solving. University of Engineering and Technology Lahore: Introducing the ranking of top engineering institutes in Pakistan for 2018, UET Lahore which is given a 4th rank for its conduction of quality studies in science and technology. UET Lahore deemed as a best to supply education in Pakistan with having state of the art laboratories, equipment and foreign educated faculties. 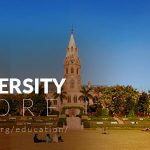 It is the oldest one in the line of engineering schools countrywide, having nineteen research centers, four satellite campuses, 33 departments with up-to ten thousands students. 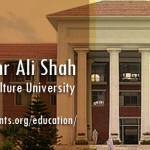 Lahore UET offers academic programs from undergraduate to doctoral studies in several fields as Law, Philosophy, Business, humanities, architecture, applied sciences and engineering. 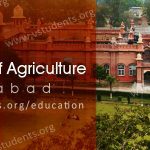 follow the UET Lahore detailed guideline for admission, fee structure, entry test date and more. University of Engineering & Technology Taxila: Lastly you are going to be informed about 5th top engineering university in Pakistan called University of Engineering and Technology Taxila (UETT). It has been working since 1975 and offering admissions 2018 in various engineering disciplines for undergraduates, graduates and postgraduates across country. You can get admission details and guide line about this engineering university, Have to double checked the last date for Admission in UET Taxila and entry test date. TIP: Must submit your admission form in all of the above best engineering universities in Pakistan because every of the institute has its own value which surly adds more light to your future. The above mentioned ranking of top engineering universities 2018 by HEC and listed after meeting the extra ordinary hard criteria so, don’t miss the chance to get enrolled in one of them. 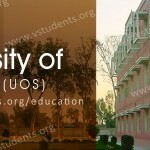 Please send me related information about engineering universities of Pakistan and admission procedure. Please give me a procedure of taking part in entry test and last date of submitting form. Send me some information about computer(bscs,software engineering,computer science).I did three year diploma in CIT.CIT stands COMPUTER INFORMATION TECHNOLOGY(80%). Is electrical engineering from CEET Punjab university is good or not? Please give me some information about civil engineer entey test.